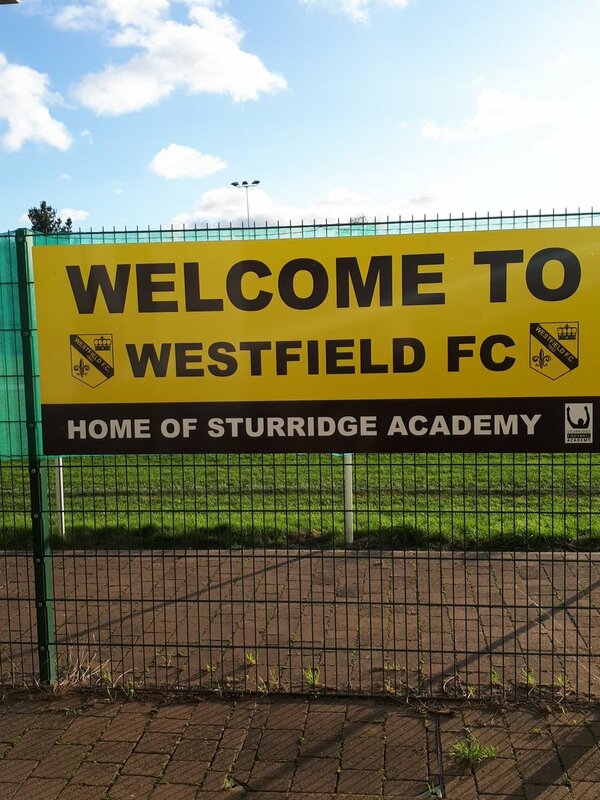 Westfield were founded in 1953 as Westfield Boys Club and started in the Woking & District League, moving into the Surrey Intermediate League after a few seasons. In 1962, the club - having now changed name to just Westfield - joined the Parthenon League, becoming runners-up at the first attempt and then joining the Surrey Senior League. After nine seasons at this level, the club won the league and cup double in 1973, then going on to successfully defend the league title the following season. In the 1974/75 season, the club's fortunes turned and they finished bottom of the league, but were spared from relegation back to the Intermediate League. In 1978, the club became one of the founding members of the Home Counties League, which was renamed the Combined Counties League the following season. Despite finishing bottom of the league on three occasions, the club spent the next 27 years in this league until being relegated to Division 1 at the end of the 2005/06 season, due to their ground not meeting the criteria to stay in the Premier Division; this was despite the club finishing 11th in the Premier Division that season. After this, they stayed in Division 1 until the end of the 2012/13 season, when a 3rd-place finish was enough to earn a return to the Premier Division. The club have remained in the Premier Division ever since, finishing 2nd in the league last season and currently sitting clear at the top of the league this season. 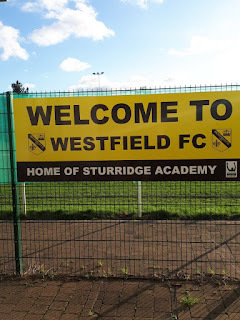 Westfield have experienced limited success in the FA Cup, only making it as far as the 1st Qualifying Round once, in the 2013/14 season when they beat Shrivenham and Fleet Town before losing in a replay to Aylesbury United. The club has performed slightly better in the FA Vase, making it to the 3rd Round this season and having once made it as far as the 4th Round once, in the 2000/01 season when they beat Wantage Town, Sidley United, Lewes and Bowers United before losing to Arlesey Town. My original plan on this day had been to go to Ash United's ground for their game against Raynes Park Vale, but when I noticed that it and my other two options (this and Knaphill) were all very local and very cheap on the train, I decided to instead leave my destination to chance and do a Twitter poll to decide where to go, with this game ultimately emerging as the winner and hence my destination for the day (the runner-up option at Knaphill ended in a 0-0 draw, so I'm thankful I didn't end up there on this occasion). On the day of the game, I headed on the train to Woking at around 2pm and, arriving 10 minutes later, headed to the ground, following the route I had walked when going to Woking FC's ground (with that being just a few hundred yards away from Westfield's, for all intents and purposes) and arrived at around 2:30pm, going round to take some pictures before heading up to the bar to get something to eat (a bacon roll, in this instance, as that was all that they had in terms of hot food). Once I got this - and after sitting down to eat it in the warm bar (it was very cold on this particular day) - I headed back outside just before kick-off, opting to go back down the stairs to be level with the pitch, rather than watching from the balcony of the elevated bar, as most of the rest of the crowd did. Going into this game, Westfield were top of the league and some distance clear of everyone else, having lost just once all season. By contrast, Redhill came into this game somewhere around 16th in the league, being on a seven-game winless streak at the time. As such, I figured that there was only one way this game could go, but Redhill have evidently not read the script and decided to surprise everyone. Redhill almost made the perfect start, an Elijah Simpson shot well saved by Gary Ross in the Westfield goal. Much to my surprise, Redhill then proceeded to completely dominate for the first 15 minutes, having several decent chances but not being able to pull off the finish (at times, there seemed to be a reluctance to shoot, which I can only assume would be down to the players being low on confidence having not won for seven games). However, Westfield defended resolutely and pressed in numbers in this period and had their first real chance on 20 minutes, although this was a tame shot by Adam Bellmaine from the edge of the box, which was easily saved by Rhys Hughes in the Redhill goal. The Westfield attack continued to press up high on the Redhill defence, which was already leading to a few tense situations at the back (with this, there was some indication of just why Westfield are so far ahead at the top of the league); this pressing eventually paid off after 25 minutes, when Aaron Watson got the ball on the edge of the box and put it into the back of net. While this goal was definitely against the run of play at this point, I expected it to spur Westfield on and act as a sucker punch to Redhill's confidence, but this didn't prove to be the case when Westfield gave away a penalty on 33 minutes: Jacob Mendy-Mendy stood to take the penalty for Redhill, but his effort was tame and comfortably saved by Gary Ross. The rest of the half saw Westfield grow into the game a little more - no doubt their confidence was increased by their lead and the penalty miss - but whenever Redhill pressed forwards the Westfield defence looked very panicky and frantic, although the same could be said (albeit to a lesser extent) of the Redhill defence whenever Westfield pressed forwards. One of these Westfield attacks led to a corner, from which Westfield almost doubled their lead with a Matt Steer diving header, only for a Redhill defender to head the ball away just moments before it went in. At the other end, Redhill's most notable chance came from a corner on the stroke of half-time, the ball being headed against the bar by Mohamed Diakite before he somehow put the rebound over the bar from about 3 yards out. In any event, Westfield went in at half-time with a somewhat undeserved lead, although Redhill only had themselves to blame at this point, having squandered several great chances to equalise. The second half got off to a dramatic start, with Redhill equalising through Fred Hill (his first goal for the club, apparently) after an excellent breakaway. Just two minutes later, the game was completely turned on its head when a Redhill corner was headed into the net by Jacob Mendy-Mendy, to compensate for his earlier penalty miss. As you might expect, Westfield were somewhat shell-shocked by this and, though they sought an equaliser, their efforts seemed half-hearted, with Redhill players constantly getting bodies in the way and, through sheer effort as much as anything else (sometimes too much effort, based on some of the tackles flying in), constantly winning the ball back off of hesitant Westfield players. However, the game seemed to turn on its head yet again on the hour mark when Redhill's Qudus Bolagi was controversially sent off for a supposed high tackle on a Westfield player; as someone who was standing more or less in line with the incident (and with at least as good a view of it as the linesman had, if not a better one), it seemed a very harsh decision as Bolagi had cleanly won the ball. However, in a way the decision was unsurprising as, despite having to consult the linesman on this occasion, the referee had seemed to be slightly favouring Westfield with his decisions, or at the very least being more lenient with them than with Redhill. 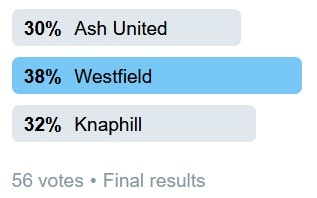 At this point, as goalkeeper Gary Ross overconfidently suggested, it looked as if Westfield would be able to turn it around and claim victory. However, he was soon silenced when Redhill scored a third just 3 minutes later, Mendy-Mendy making a run into the box and, after twisting and turning through the defence, rounding Ross to put the ball into the empty net. After this, the rest of the half made clear the gulf in the desire of the two teams to win: while Westfield did press to try and get back into the game, it always seemed very lazy and disinterested when they did, especially compared to how determined the Redhill players were to get back and defend. By contrast, Redhill's counter-attacks in this period looked significantly more threatening, with Mendy-Mendy having several chances to secure a hat-trick but not taking them. However, the best chance in the final 25 minutes came to Westfield when Rhys Hughes held the ball for too long and was tackled by Adam Bellmaine, who somehow put his shot wide despite having an empty net in front of him. 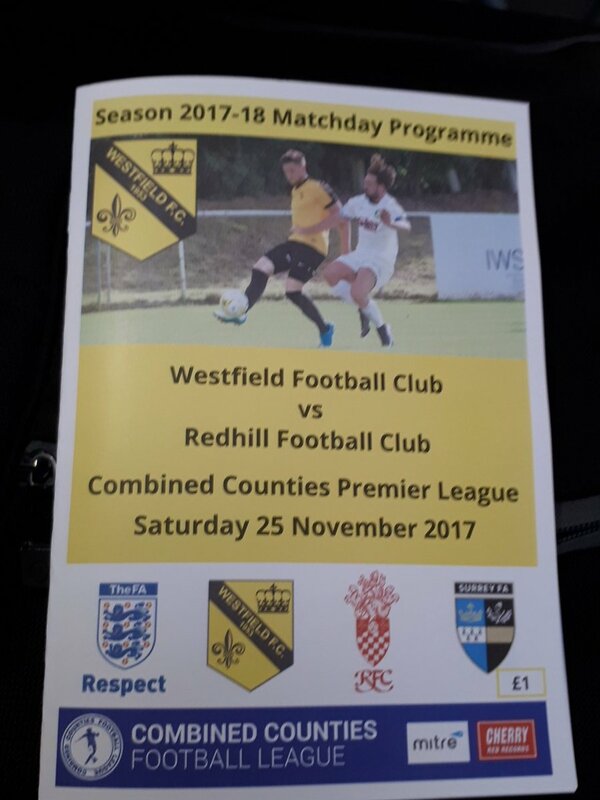 Westfield also had a few other good chances in this period, but either poor finishing or a lack of desire saw them all wasted, and Redhill eventually succeeded in holding out to win their first game in seven, and to condemn Westfield to just their second league defeat of the season (and only their first at home). Overall, as I've alluded to a few times, this game was an excellent example of just how important a good attitude is for winning football matches, as while Westfield clearly had a lot of talent out there - and probably could have beaten Redhill's 10 men if they had tried harder - they simply didn't look committed or especially interested for the most part, with a determined and impressive Redhill side making them pay for their complacency: Redhill simply wanted it more, and were deserving victors in this game as a result. Woking Park is a fairly basic ground, with just three sides open to spectators (the dugout side is out of bounds to spectators and lacks hard standing). The most notable feature is the main stand with the bar above it, with most of the crowd watching from the balcony up here rather than using the seating area directly below them (the seating area of the main stand has around 50 seats). Other than this, the only area of cover is a 50-seater stand behind the far goal, though this is unusual in that it is not an Atcost, albeit it was something similar. Other than this and the dugout side, the rest of the ground is open hard standing, with an overall capacity of 1,000 and a record crowd of 325 for a game against Guernsey in the 2011/12 season. Also, with it looking very likely that Westfield will be promoted come the end of the season (barring a massive collapse), it is worth saying that I would imagine Westfield would have a lot of work to do to make the ground suitable for Step 4 football, although there is plenty of room behind the far goal for more seating, at the very least; the rest of the ground is fairly compact, with little room for more football furniture.